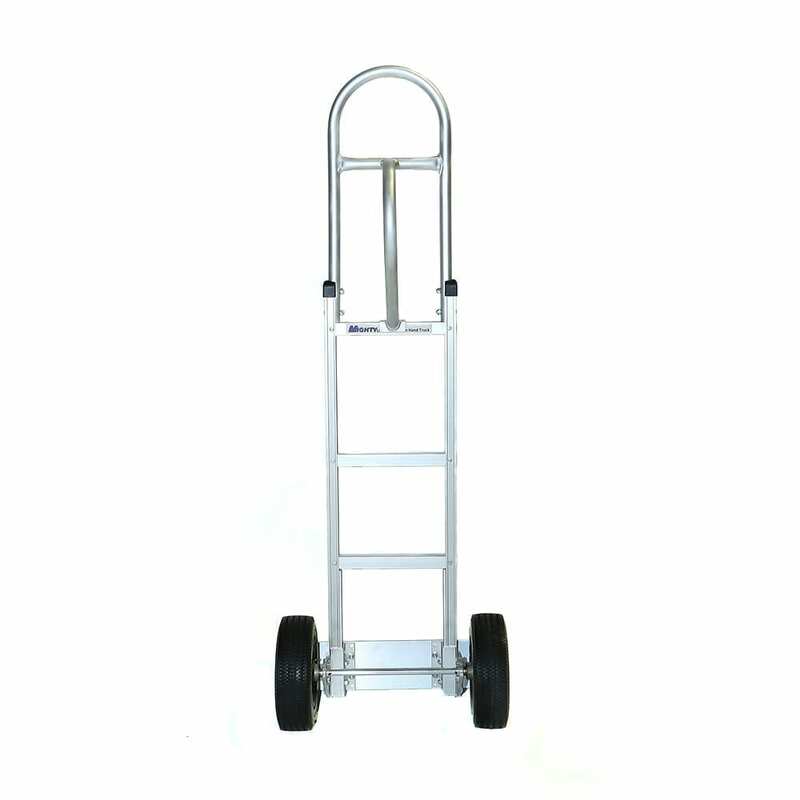 The ultimate case delivery hand truck. Light weight, sized right and strong. The 18″ noseplate gives support to the case but does not add width to the load. 550# capacity just means it is much stronger than needed for your loads….increased life. Four ply pneumatic wheels with 3 piece hubs are smooth rolling and go over obstacles with ease. The modular design makes each piece replaceable and since it interchanges with the Magline or B&P brand, parts are easy to find. See our parts department in this site. Click here to see our new Lift Table Products!